Terry Walters, author of the award-winning CLEAN FOOD cookbook, will be at Chicago French Market from noon to 1 p.m. Friday, Feb. 18 to demonstrate three healthy recipes from her new cookbook, CLEAN START, followed by a book signing. Her philosophy of eating locally grown, seasonal and fresh food mirrors the efforts of the Chicago French Market and its nearly 30 artisan vendors. Walters will prepare three of the 100 recipes in her new book, all of which are vegan and gluten-free: Shallot Fig Spread, Red Lentil Soup with turnip and parsley and Hot Spiced Coconut Milk. 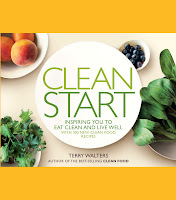 Following the short cooking demonstration, Walters will be available for a book signing of CLEAN START, available for purchase for $25. Terry Walters is all about good health-body, mind and soul. She teaches people how to make delicious, healthy food to nourish themselves, their families and their planet. She is a health counselor and food educator, and serves on the board of directors for Urban Oaks Organic Farm, one of the largest urban organic farms in the country. 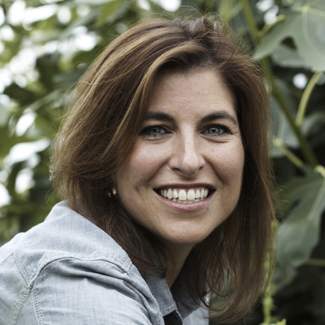 Terry is the author of the popular blog, Eat Clean Live Well. She draws from educational and life experience including training from the Institute of Integrative Nutrition, and resides in Connecticut with her husband and two children. Learn more about Terry Walters at www.terrywalters.net. Please note that from January 2011 through May 2011, if traveling westbound on Randolph Street, the Randolph Street bridge is closed due to the Wacker Drive Reconstruction Project. The minor detour will reroute drivers to head north on Franklin Avenue, then west on Lake Street, to turn south on Clinton Street to access the garage. For more information, visit www.chicagofrenchmarket.com.